How Social Security Works | Pure Financial Advisors, Inc. Currently, there are over 67 million people receiving Social Security benefits.1 Additionally, there are 10,000 baby boomers turning 65 every single day for the next 12 years.2 This is going to put some strain on Social Security when it comes to your claiming strategies, but we are going to break down exactly how Social Security works, how it started, and who is eligible. The Social Security Act was signed in 1935 by Franklin D. Roosevelt. After the Great Depression, Roosevelt wanted to establish a government program that provided some form of retirement income so that no American would have to endure what people went through during that trying time ever again. However, Social Security was never meant to be the end-all-be-all or to provide 100% of your income in retirement. It was created to keep you out of poverty. The first lump-sum payment was made in January 1937 to a man named Ernest Ackerman. He received 17¢. It wasn’t until 1940 that regular ongoing monthly payments began. At 65 years old, Ida May Fuller was the first to receive monthly payments in 1940. She received benefits until she was 100 years old. This put some strain on the overall benefit because in the 1930’s the government did not expect anyone to live that long. The life expectancy for men at that time was 58 and 62 for women. With this life expectancy and a full retirement age of 65, it was expected that the system would be able to last for some time; which it has. 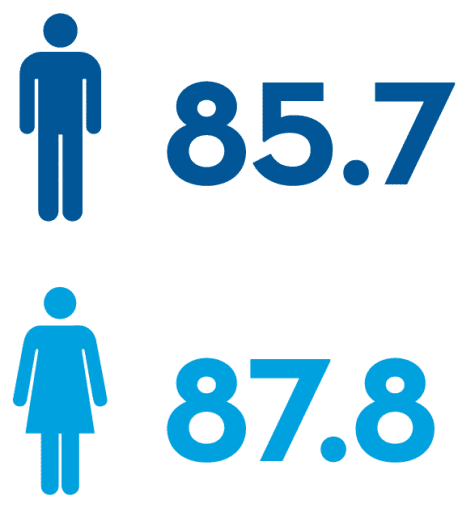 Life expectancy is significantly higher now; men are almost 86, while women are 88. While this is great news, longer life expectancies can make your Social Security claiming strategy a bit more difficult. In 1975, the first cost-of-living allowances were signed, and the Social Security Administration began adjusting benefits for inflation. More recently, some of the advanced claiming strategies were eliminated. On November 2, 2015, President Obama signed the Bipartisan Budget Act of 2015 into law, which came into effect in 2016. The new regulations significantly changed Social Security planning for millions of retirees. The changes mainly affected 2 strategies that helped retirees increase their lifetime benefits: file & suspend and restricted applications. File & Suspend was a strategy in which one spouse (typically the higher earner) files and suspends a claim for benefits to allow delayed retirement credits to accrue. File & Suspend is no longer an option. Restricted Application was when retirees file for spousal benefits instead of claiming their own personal benefits (typically to allow their benefits to accrue credits while still receiving some income). If you were younger than 62 at the end of 2015, you would not be able to receive benefits on a spouse’s work record while your own benefits were suspended. If you were younger than 66 by May 1, 2016, no spouse or child would be able to receive benefits on your work record while your benefits were suspended. In order to receive Social Security Benefits, you have to contribute to the system first. You must have 40 credits (10 years overall) of employment and earned reported income and paid your Social Security taxes on that income. You can also have been married to for someone for 40 credits (10 years). If you have an ex-spouse, then you are eligible to claim on that ex-spouse, as long as you haven’t remarried. You can collect your benefits as early as age 62 and as late as age 70 or any year or any month thereafter. Keep in mind that the earlier you take it, the less benefit you will get for life. To learn more about Social Security claiming strategies and how to get the most in benefits from Social Security, read our blog on Everything You Need to Know About Social Security. Who can collect Social Security retirement benefits? All of the above can receive benefits as long as they qualify. Who cannot collect retirement benefits? Now that we’ve covered the basics of Social Security, let’s move on to some spousal strategies that can help you maximize your benefits. This chart shows how benefits are calculated under different situations and when to collect benefits. Divorced spouses are able to claim spousal or survivor benefits on an ex’s record if they meet certain eligibility criteria. However, the new laws may complicate this picture, so it’s very important to get individualized advice. You can see that when you collect a benefit it can have a major impact on how much your spouse will get each month. If you are married, it’s important to consider your age and potential Social Security benefits as a couple to ensure that you maximize your joint lifetime benefits. Since a surviving spouse may need a survivor benefit for income, many couples also want to boost the value of the survivor benefit, which will include any delayed retirement credits and cost-of-living adjustments. When a spouse dies, the survivor can choose between his or her own benefit, a spousal benefit, or the survivor benefit, depending on which one is highest and what the survivor is eligible to receive. Keep in mind that if even one spouse is expected to live past 80 years old, your joint lifetime benefits will usually be highest if the higher earner delays collecting Social Security until age 70. Delaying benefits may be even more important if the higher earner is significantly older than his or her spouse since the younger spouse will probably need to collect Social Security for years after the death of the primary worker. You can’t collect both your own worker’s benefit and a spousal benefit, because the SSA simply tacks on the difference between the two. So, if your personal benefit is $1,000 and your spousal benefit is $1,200, the Social Security Administration (SSA) will pay you your personal worker’s benefit of $1,000, plus the extra $200. There are different rules for disabl­ed survivors, survivors with dependent children, or dependent parents of deceased workers. If you have questions about those situations, it’s best to speak with your financial advisor about your specific situation. The best way to start calculating your benefit is to use the SSA.gov estimator. This is an online benefit calculator provided by the Social Security Administration and is a great resource if you have not yet signed up for your own account. This calculator will take your earnings and give you a “guestimate” of what your benefit will be if you choose to take it at age 62 or 70. The size of your benefit in retirement depends on how much you earned during your working life. The SSA keeps a record of how much you made every year, up to a ceiling of $128,400 in 2018. Any amount you made over that annual ceiling doesn’t get taxed by Social Security and doesn’t figure into the formula. When it’s time for you to apply for benefits, the SSA will look at your highest 35 years of earnings or substitute zeros if you didn’t work for a full 35 years. Essentially, they look at the 35 highest years of income. If you work for 30 years, you’re going to take those 30 years and the last 5 years will be 0. If you have not worked for 35 years, they will plug in a 0 for any additional year without income. Conversely, if you work over 35 years they will choose your most profitable years. Regardless, it is the highest 35 years that are going to count. The years that you work are then indexed with inflation. This will then give you your monthly benefit. It is important to make sure that you check your record and make sure that you understand how it’s calculated. Like anyone else, the Social Security Administration can make mistakes and you want to make sure that you get the appropriate dollars coming to you. If you look at the average Social Security benefits, it is about $1,400 for a retired worker.4 If you are married and both people are receiving those benefits, it’s about $2,340 a month, which is fairly significant for a lot of individuals. That’s why getting Social Security right really makes sense – be sure to spend a little bit of time to understand how the mechanics work. When Should I Claim My Benefits? Full Retirement Age. Depending on the year in which you were born, your full retirement age will be between 65 and 67. For example, if you were born in 1951, your full retirement age would be 66. If you were born in 1956, your full retirement age would be 66 years and 4 months. Unless you are disabled, the earliest age at which you can claim Social Security benefits off of your record, or an alive spouse, is 62. However, just because you can claim your benefits at age 62 doesn’t mean you should. In fact, you will not be eligible for your full benefit at that age. Instead, the SSA reduces those benefits by 25% if your full retirement age is 66 or 30% if it’s 67. Keep in mind that if you choose to claim your benefits before full retirement age the reduction in benefits will be permanent. If you can afford to wait until your full retirement age, you’ll be eligible for 100 % of your Social Security benefit. If you can afford to wait even longer, your benefit will increase by up to 8% every year until age 70, permanently. So, if your basic benefit were $1,000 at age 66, it would increase to $1,320 per month or 132% of your benefit. If you were born after 1942, you’ll qualify for the 8% credit each year. This might make it more beneficial for you to wait, or it might make sense for some of you to take it as soon as possible; it depends on your overall situation. 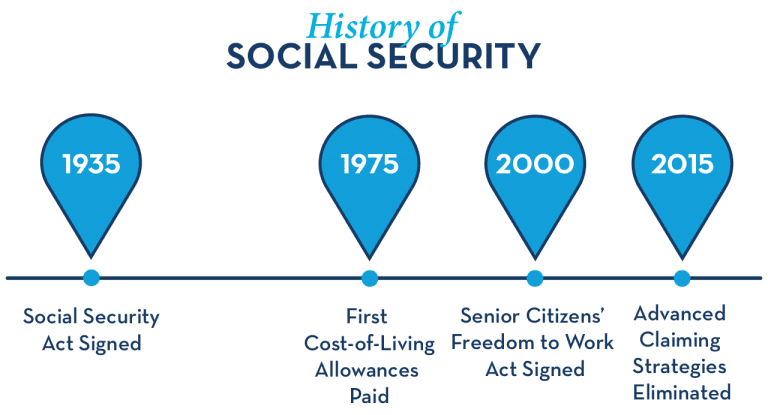 We have covered the basics of how Social Security got started, how Social Security works, eligibility requirements and more. Social Security was never intended to completely support you in retirement, not everyone is eligible, and when you claim your benefits can have a large effect on how much that benefit ends up being. To continue learning about Social Security claiming strategies read the next blog to learn how to get the most out of your benefits.